Jay was to everyone who knew him a good friend and for us here at Foggs he was family. After a tragic accident he had complications from the injuries and passed away September 29, 2016. Jay is survived by his mother Beverly Peterson. We are confident that Jay is in the best place possible, Gods memory. For us here at Foggs he was a joy to work with and will be greatly missed. Great Egg Harbor got its name from Dutch explorer Cornelius Jacobsen Mey. In 1614, Mey came upon the inlet to the Great Egg Harbor River. The meadows were so covered with shorebird and waterfowl eggs that he called it "Eieren Haven" (Egg Harbor). The first residents of what would become Egg Harbor Township were the Lenni Lenape Native Americans, who would spend their summers on the elevated land around the cedar swamp that is now Bargaintown Lake, as well as along the banks of Patcong Creek, where they made use of the abundant fish, shellfish, wild berries, and bird's eggs in the area and collected shells that could be carved to make wampum. Great Egg Harbor was originally part of Gloucester County. In 1694 a law was passed that read "forasmuch as there are families settled upon the Egg Harbor, and of right ought to be under some jurisdiction, be it enacted by the authority aforesaid that the inhabitants of the said Egg Harbor shall and do belong to the jurisdiction of Gloucester." In 1710, by an Act of the Legislature, legal boundaries of Gloucester County were set from the Delaware River, along the Burlington County line to the sea and back up the Great Egg Harbor River to the Delaware River. At that time Great Egg Harbor encompassed all of present-day Atlantic County. In 1837, Atlantic County was set apart from Gloucester County and the Townships were Egg Harbor, Galloway, Hamilton and Weymouth. Since 1837, ten municipalities have separated from the original Egg Harbor Township, including Atlantic City (1854), Absecon (1872), South Atlantic City (now Margate) (1885), Somers Point (1886), Pleasantville (1888), Linwood (1889), Longport (1898), Brigantine (1903), Ventnor (1903) and Northfield (1905). The 177th Fighter Wing is located at the Atlantic City International Airport, Egg Harbor Township, NJ. The wing has been at this location since 1958. The Atlantic County Bikeway stretches for 7.5 miles (12.1 km) from the Shore Mall to the Atlantic County Institute of Technology in Hamilton Township. Storybook Land is a park for children on a site covering 20 acres (8.1 ha) that was opened in 1955, featuring storybook characters such as Mother Goose and the Three Little Pigs. Jersey Shore Children's Museum provides an environment for children that stimulates creativity, imagination, and learning through interactive play. Foggs serves the Margate area with the best in carpet cleaning and restoration. We also have many long time customers that we clean and repair rugs for in the Margate area. Here is a little history and some facts about the Margate area in South Jersey. Margate City was originally incorporated as the borough of South Atlantic City by an act of the New Jersey Legislature on September 7, 1885, from portions of Egg Harbor Township, based on the results of a referendum held on August 1, 1885. South Atlantic City was reincorporated as a city on April 23, 1897, and then reincorporated with the name Margate City on April 20, 1909. The city was named for Margate, England. The city is located on Absecon Island, which stretches for 8.1 miles (13.0 km) and is also home of Atlantic City and Ventnor City to the northeast, and Longport on the southwest. The city stretches about eight blocks from the Atlantic Ocean to the bay at most points in town. Margate is a popular Jersey Shore destination, especially during the summer, and is the home of Lucy the Elephant, a 65-foot (20 m) wooden elephant, and of Marven Gardens, of Monopoly board game fame. Margate's beaches attract surfers, kayaking and hobie cat sailing. The Margate beaches are narrower than beaches at many other places at the Jersey Shore. There are few dunes and those that do exist are artificial, having been created to protect beaches from nor'easters and hurricanes. In the wake of Hurricane Sandy, Margate voters will consider a referendum that would allow the city to participate in a program operated by the United States Army Corps of Engineers under which dunes would be constructed on the city's beaches, which would be intended to alleviate beach erosion and provide storm protection to Margate and to adjoining Ventnor City, which has already had a beach protection program in place for the past ten years, under which dunes have already been constructed. Margate City Beach Patrol operates lifeguard stands and beach patrol operations for the Margate beaches. Lifeguards are on duty during summer months from 10 am to 6 pm, with more limited hours in the late Spring and early Autumn months. The Margate bridge is a privately owned and operated toll-bridge which connects Margate to the mainland. Margate is the home of Lucy the Elephant, the “largest elephant in the world” and is the oldest remaining example of zoomorphic architecture left in the United States. Over 130 years old, she has been painstakingly restored and is toured by thousands of fans each year. There are a million ways to find someone to do a service for you. But how can you be sure that you won't be stuck with problems afterwards? You want to find not just a carpet cleaning service that is priced right and who does a good job, you want to find a carpet cleaner in South New Jersey you can trust. Here are some tips for locating a reliable contractor for any service but especially for someone who is going to come inside your home. Don't be the next victim of a Craigslist scam! Protect your pets, your family and your things by choosing the right carpet and tile service company. Today this is easier than ever. With social networking the huge advantage is that you can quickly ask many people who they use. We mainly use Google+ and Twitter for our recommendations. 2. Are they insured and licensed? This may seem like a no brainer but many today will run a carpet cleaning route with nothing more than a residential Home Depot carpet cleaner in the back of their truck. This is not going to get your carpets clean and without the proper water extraction it will also leave your carpet wet and damaged. He might be a nice guy but if something goes wrong and he doesn't use the right chemicals, he could do more damage than good to your carpets, rugs and furniture as well. Make sure that they are insured for peace of mind! 3. Are they locally and nationally certified? Use someone who can be verified by a third party organization. 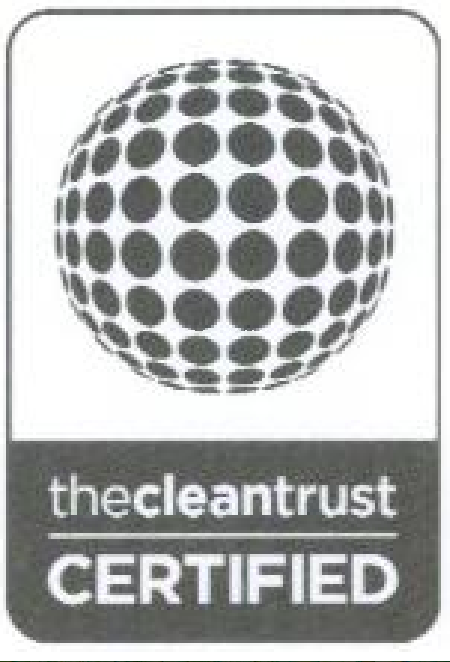 We are a member of the IICRC and The Clean Trust. This will keep you clear of scammers and will also help to make sure you have someone safe working in your home. 4. Do they show up when they say they will? We want to pick someone we can rely on. While things come up for everyone no matter how hard they try to be reliable. Ask: Is it the norm or the exception that they are there when they said they would be? This can signal a reliable quality company vs the alternative. 5. Do other professionals recommend them? Use someone others have used and trust. Don't use an unknown guy or company. We get calls all the time from customers that tell us someone else in the industry recommended they talk to us. We are flattered and love this. It really is one of the best signs that a company is trustworthy. Why? Because whoever recommended you just put their reputation on the line. They wouldn't do this unless they were sure you could be trusted. No. Dirt is an abrasive like sandpaper. Every time you step on the carpet. you grind dirt into your carpet fibers. This cuts your carpet just as if you had used a knife, causing it to wear out faster. A dirty carpet will not last nearly as long as a clean carpet. And while vacuuming helps by itself, it’s simply not enough. The longer you wait to have your carpet cleaned the more damage you do to your carpet and the faster it wears out. 2: The only reason to clean carpets is to get out the dirt. If you’re sensitive to cigarette smoke, you also might find that you’ll breath easier after you hire a company to get those harmful chemicals out of your carpet. So in addition to getting rid of dirt., another important reason to clean your carpet is to get rid of residue from tobacco smoke. Since, as you may know, tobacco smoke contains over 4000 different chemical compounds, 43 of which cause cancer. So even if you don’t smoke, but somebody in the house does, those chemicals get left in your carpet. 3: One method of carpet cleaning is as good as another. No. You can choose from two primary methods: Dry cleaning or Hot water extraction. First I’ll explain dry cleaning. Many people believe that dry cleaning your carpet is like dry cleaning you clothing. It’s not the same. All carpet cleaning methods use some water one form or another. 2 ) Dry-Chem method is similar to dry foam. The major difference is that when a dry-chemical is used, the company sets a large cotton bonnet on your carpet. Using a machine, the bonnet spins form side to side, absorbing the dirt in the carpet. After the bonnet is saturated with dirt another cotton bonnet is applied. Bonnet cleaning is like trying to use a large towel to rub the dirt out of your carpet. Like dry foam, its not very effective for deep down restorative cleaning. The second carpet cleaning method is called hot water extraction. This is a fancy way of saying that a hot water cleaning solution under high pressure is forced into the carpet and then extracted (sucked) immediately back out of the carpet. This method is also referred to as steam cleaning even though steam is not used. Shaw Industries, the world’s largest carpet manufacturer, recommends hot water extraction, and you can choose from two different types, Portable extraction. which is done with a small machine, or truck mount extraction which means the large cleaning machine is mounted in a truck or van. No question, the most effective way to clean carpeting is with a hot-water unit mounted in a truck. It’s the most powerful cleaning machine on the market and the only machine that thoroughly cleans your carpet and rids it of dirt, harmful bacteria, fungus. chemicals, pollens and tobacco residue. Some people believe that hot water damages your carpet, but this isn’t true. By washing and then rinsing your carpet with hot water we clean your carpet completely in the same way that the person who showers and then rinses off the dirt and soap will be much cleaner than the person who takes only a sponge bath. FACT: The CDC recommends steam cleaning for cleanup involving virus prevention and cleaning. This should be enough to tell you that the best way to clean your carpets is steam cleaning. Note too that in their typical recommendations they require the carpet to be cleaned at temperatures that a store rental carpet cleaning CAN NOT reach. However, our truck mounted machines can. 4: Having the right equipment is all a company needs to clean your carpets properly. Not true. Many companies own hot-water cleaners but a large number of employees don’t know how to use them. You probably know someone who bought the newest computer on the market, but didn’t learn how to use it for a year or more. The same is true with carpet cleaning machines. The company may own good equipment, but the employees may not know how to use it correctly. This is why it’s important that you choose your carpet cleaning technician carefully. The best carpet cleaning companies are those that have been certified by the Institute of Inspection, Cleaning and Restoration Certification, known as the IICRC. A carpet cleaning company cannot buy this certification. The carpet cleaner must earn the certification through study, experience and the successful completion of a formal, written examinations. Cleaners who are certified by the IICRC have in effect. earned a degree in carpet cleaning. The IICRC provides written credentials to the companies it certifies. So before you choose a carpet cleaner ask to see written proof of the company’s IICRC certification. Then you’ll find other carpet cleaners, professionals like me who work hard to earn your trust and respect. 5: The company that offers the lowest price is the company you should hire. On the other hand if you want your carpet thoroughly cleaned, if you want to remove the harmful dirt, bacteria, pollens, chemicals and tobacco residues, then you need to hire a company that uses a hot water cleaner mounted in a truck. This is the only way to assure that your carpet remains healthy and free from dirt, disease-causing bacteria, and hurtful chemicals. So remember that the price you see offered may not be for the services you want performed. Point #2: The price you see advertised may not be the price you end up paying. Many homeowners have found that the low price they saw advertised was not the amount they were charged. If you’ve ever hired a carpet cleaner, you too may have been the victim of false or misleading advertising. You may have learned the hard way that some carpet cleaners offer a cheap price usually between $9.95 and $12.95 per room and then pressure you into paying a lot more once they get inside your home. Some of them may even break the law by using illegal bait and switch tactics. Carpet is a great choice for your home but like anything it needs to be cleaned regularly. It adds warmth, comfort and feels good on bare feet. But because of all the traffic it encounters, it tends to get pretty dirty over time. In fact, according to Men's Health, it's a germ hotspot and can be 4,000 times dirtier than your toilet seat -- ew! "Rugs are botanical and zoological parks," microbiologist Dr. Philip Tierno told the magazine, and mentioned that they can have many different organisms living in them. So what's the best way to clean a carpet? Well, Men's Health suggests hiring a professional once a year for a deep steam-cleaning. But weekly maintenance is super important as well. TLC's How Stuff Works recommends vacuuming regularly and applying soil retardants and baking soda to the surface. We knew this wall-to-wall textile could end up spotty, but we had no idea there could be so many creepy crawlers lingering in the fibers. So be sure to pay extra attention to your rugs this weekend if you're doing some spring cleaning. For more information, head on over to Men's Health and TLC. And be sure to contact Foggs today if you haven't had your carpets cleaned in a while. In the meantime check out these tips! Encourage family members to remove shoes upon entrance into the home. Pesticides, pollutants and dirt come indoors on shoes and are tracked onto carpets. If going shoeless is not acceptable to family members, suggest that they wear house shoes (that don’t go outside), slippers or socks. Vacuum two or more times per week. Frequent vacuuming helps reduce the level of dust mites, which trigger asthma and allergy attacks. It also means getting rid of surface dirt on carpets before it has a chance to get ground in. A vacuum cleaner with strong suction, rotating brushes and a HEPA filter, so the dirt and dust won’t get blown back out in the exhaust, is best. Go back and forth over the same spot several times, especially in high traffic areas, to get all of the dirt and dust! Clean up spills on carpets immediately to prevent stains. Soak up liquid spills by covering them with clean white (or light-colored) towels or paper towels. Scrape sticky substances off carpets with a spatula or spoon. Don’t rub the spill. That will damage carpet fibers and make the stain spread. To clean the stain, mix 1 cup warm water and 1/2 teaspoon mild liquid soap, such as dishwashing liquid or fine fabric detergent. Apply a small amount, blot by pressing a clean white towel into the carpet and lift. Then repeat the process until the stain is removed. Don’t scrub. Be patient. After stain is removed, rinse the area with a solution a few teaspoons of white vinegar to one cup water and blot with another clean towel. Use baking soda to remove odor from carpets. Carpet deodorizers and fresheners often contain fragrances that merely mask the smell. Baking soda soaks up the odor. Just sprinkle baking soda over the surface of the carpet. Let it stand for 15 – 30 minutes. Then vacuum. Ventilate well during and after carpet cleaning. To speed drying time and prevent mold growth, keep windows open and use fans. Avoid carpet cleaning on humid or damp days.